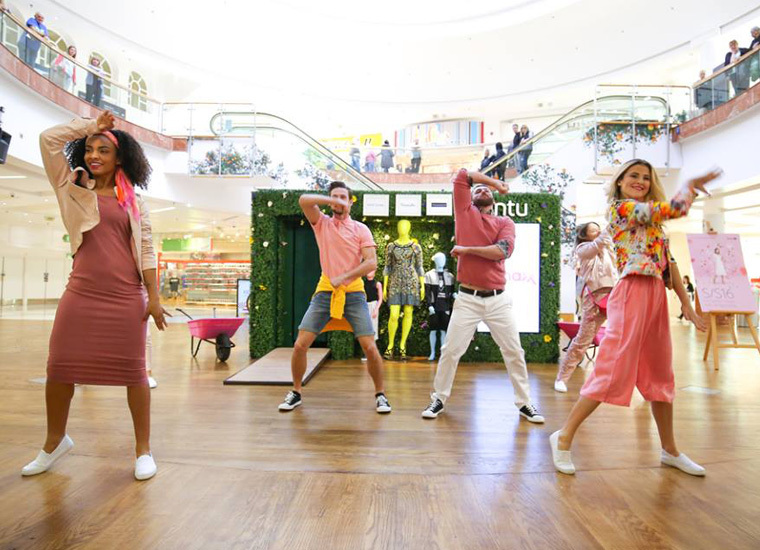 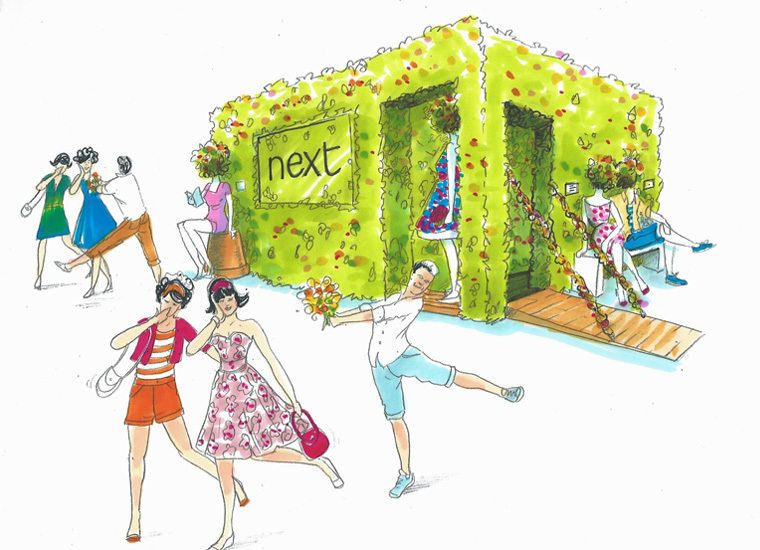 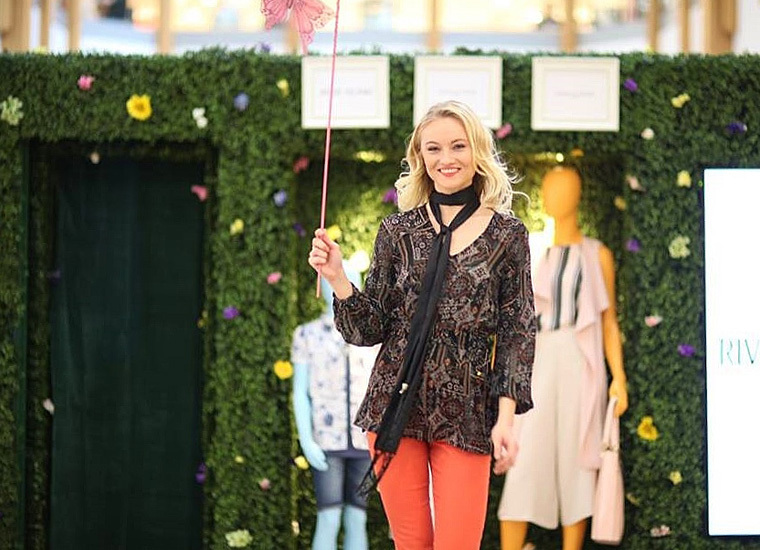 Creating a piece of theatre on the malls we installed a huge (3m²) grass and floral wrapped box, surrounded by retailer mannequins showcasing the season’s glamorous new trends. 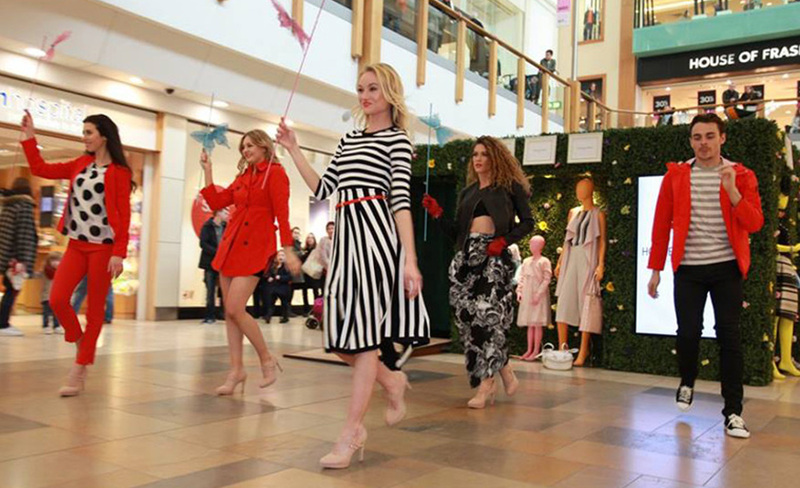 With the sounds of birdsong and a gorgeous fragrance emanating from the box, there was a buzz about the Style Garden in the days building up to the main event which saw the box open up and models emerge from inside. 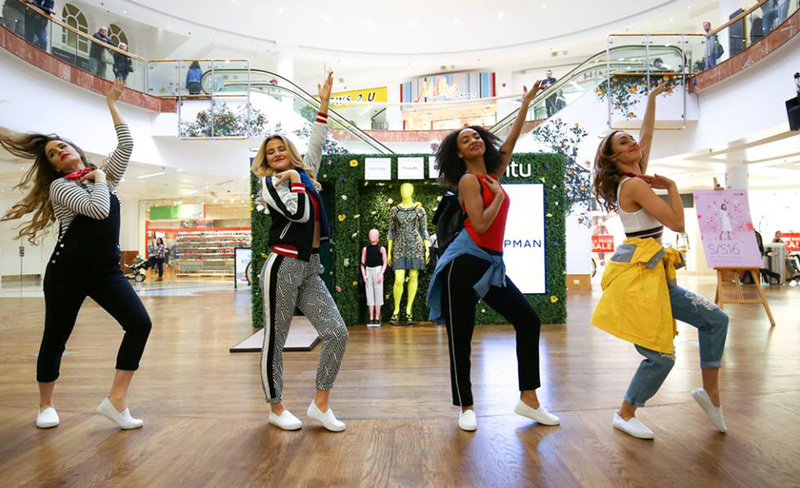 They performed show-stopping choreographed routines every 20 minutes throughout the day captivating shoppers.